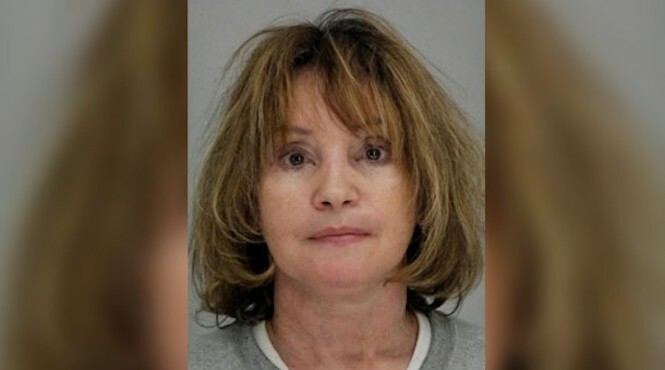 MESQUITE, TX — A licensed daycare operator with more than 20 years of experience allegedly used extreme measures to keep nine kids in her care under complete control. Anderson, 60, first fell under suspicion for child abuse after a six-month-old baby’s mom and dad suspected something was wrong and hid a camera on their son’s car seat before dropping him off at Anderson’s home. The court documents revealed in disturbing detail what the baby’s parents saw when they played back the secretly captured video recordings. “The defendant [Anderson] yanked [the infant] out of his car seat by his ankle to change his diaper. The defendant was later observed pulling [the child] up from the ground by his bib which was attached to his neck,” read the affidavit, which noted the baby did not exhibit any “visible bruising” or other major injuries. Anderson “was then observed drawing an unknown substance from a bottle and administering it to [the child] via a plastic syringe.” The infant was not supposed to be on any sort of medication, according to his parents. Anderson later “admitted that she gave medication [Tylenol]” to the children, police claimed in the court documents. An incident report revealed the video led to a September 14 police search of Anderson’s house in the Dallas suburb, where detectives found multiple children in jeopardy. The report detailed how one child was located in the master bedroom and three others were located in the room’s closet, which was closed and dark. “The children were all strapped into plastic car seats,” some with “ligatures around their necks” — shoelace-like ties, which cops claimed Anderson said were used to “limit [the kids’] movement and prevent them from reaching the latching mechanisms and being able to get out of the seat” for as many as seven hours at a time. Police have charged Anderson with nine counts of felony endangerment and she is now being held on a $45,000 bond at the Dallas County Jail.